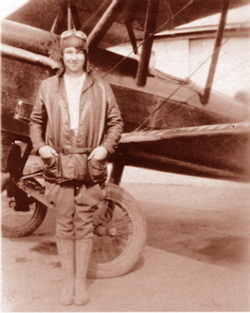 My Grandma, Esther Norbert Warner — and later known to me as Betty Cleveland (or just Grandma) was one of the first licensed and certainly the youngest female pilot in the State of California when she earned her wings at the age of 16. The family is collecting her goggles, flight boots, that cool jacket and other memorabilia as a donation to the new Flight Museum being developed at the College of Pacific. That institution was the pioneer in flight training in the early part of this last century and it’s where my Grandma and other relatives got their wings. When I moved into my new office at Hobby-Lobby, I hung only one family photo. 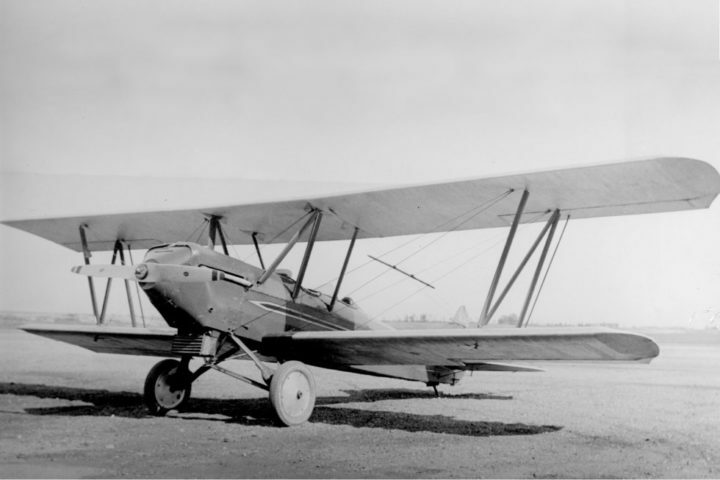 Of course, everyone asked me about the air plane… Honestly, I had no idea what she flew until my great Aunt Marj broke the story… not one other person has ever had the answer until then. You’re looking at an Alexander Eaglerock. For all you flight historians, this aircraft was used in the College of Pacific flight training school where my Grandma took lessons from her uncle, the school’s flight instructor. It struck to me that it would be a blast to introduce this airplane, something with a family tie, as one of our new Pilot-1 Golden Age Civilian series. What do you think? This bi-plane reportedly flew like a dream. The one pictured was crashed a few times and rebuilt. At Hobby-Lobby we are looking for “undermodeled” airplanes because, at least it seems to me, everyone is copying everyone. We want to deliver quality, but also something really different and interesting you WANT to bring to the local R/C flying field. Back to Grandma… I am told that the School, flight historians and others in California are taking up a project that will include collection of memoribilia to set up a new Museum of Flight. People always ask me why I bought Hobby-Lobby. I’m having as much fun as my Grandma was in this photo.. imagine how much of a renegade she was in her day!